The Heritage Gallery showcases important and precious documents from the impressive archives of the City of London Corporation. 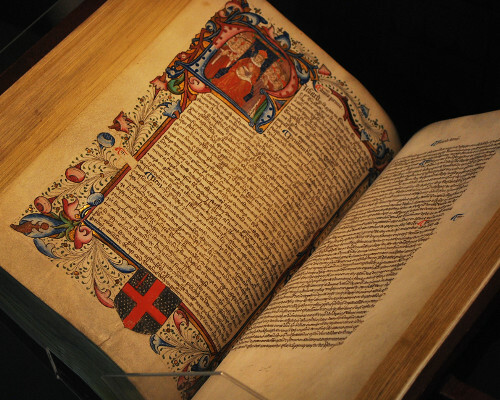 A changing display of exhibits includes Magna Carta and other medieval documents from the City’s history like the beautifully-illustrated Carta Antiquae (an important legal reference for medieval City governors), the 1067 William charter and a house deed signed by Shakespeare (one of only six documents carrying his signature). Entry to the gallery is free.